TV-Browser 4.0.9.96 Beta 2 (x86/x64) + Portable » SoftLab - портал portable-софта! TV-Browser - простой приемник цифрового телевидения. Удобная навигация, огромная база каналов и приятный интерфейс. Доступны программы более 1000+ телеканалов (эфирных и спутниковых), а также более 100+ радиоканалов. 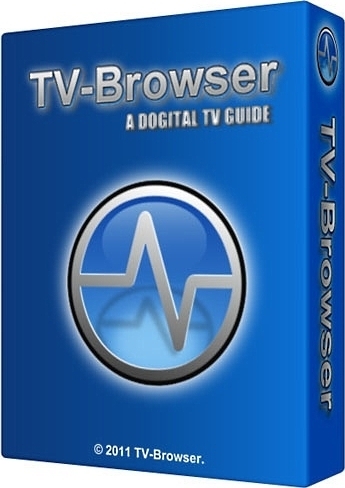 TV-Browser is a simple Digital TV Guide that supports more than 1000+ TV channels and 100+ Radio stations. TV-Browser collects TV program information from different sources on the internet and presents it neatly as a Digital TV Guide with pictures where there possible (if there are no copyright issues). TV-Browser is a free opensource software licensed under GPL that can run on multiple platforms like Windows, Linux, MacOS & OS/2 as it is Java based and requires only the SUN Java runtime environment to work properly. 1. Blog this! - Simply do a Blog entry by one mouse click. 2. Calendar Export - Exports programs to a scheduler such as "Outlook". 3. Clipboard - To collect broadcasts and forwards cluster to plugins. 4. Send e-mail - Send program info via e-mail. 5. Favorite programs - Manages your favourite programs. 6. View List - Displays the available program data in a list. 7. Genres - Shows the program genres in the tree view. 9. Marker Plugin - Easy mark programs or add additional lists for marking programs with different priorities. 10. News - TV-Browser news. 11. Print program - Prints the TV program. 12. Program information - Shows detailed information about one program. 13. Recording Control - Enables TV-Browser to control external applications or devices e.g. for recording. List with examples. 14. Reminder - To remind on a program, you want to see. 15. Search - Search for programs. 16. Showview number calculator - To generate the "Showview" numbers. 17. TV Rater - To rate broadcasts and to see reviews from other users.